Andrés Iniesta is a professional Spanish soccer player. He plays for the FC Barcelona as a midfielder. Iniesta started playing at a very young age. He was captain of the 1999 Nike Premier Cup’s 15 and under team and scored the game winning shot. With each passing year he became faster and more impressive. In 2010, Iniesta was voted onto the FIFA World Cup Dream Team. In 2011, he won the Marca Legend Award. In 2012, Iniesta was awarded the Best Player in Europe Award by the UEFA. He has one daughter with longtime girlfriend, Anna Ortiz. He is a devout Catholic and a large financial supporter of his childhood soccer club. 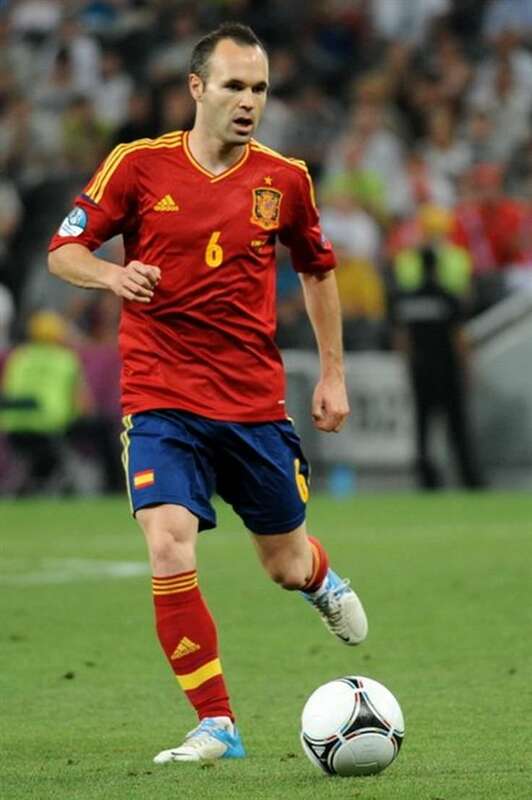 Andrés Iniesta is a famous Spanish footballer, who was born on May 11, 1984. As a person born on this date, Andrés Iniesta is listed in our database as the 6th most popular celebrity for the day (May 11) and the 36th most popular for the year (1984). People born on May 11 fall under the Zodiac sign of Taurus, the Bull. Andrés Iniesta is the 180th most popular Taurus. Aside from information specific to Andrés Iniesta's birthday, Andrés Iniesta is the 19th most famous Spanish. In general, Andrés Iniesta ranks as the 1982nd most popular famous person, and the 66th most popular footballer of all time. “The Famous Birthdays” catalogs over 25,000 famous people, everyone from actors to singers to scientists to serial killers and more. If you're curious to see who was born on your birthday, you can use our database to find out who, what, where, when and why. You can search by birthday, birthplace, claim to fame or any other information by typing in the search box, or simply browse our site by selecting the month, the day, the horoscope, or any other clickable option.